Real-time information: The cloud has already begun to change field service and manufacturing significantly because now organizational insights arrive in real-time. Consider an example such as Handicare, one of the world’s leading producers of stair lifts, wheelchairs, and other devices for the elderly and handicapped. Before it shifted to the cloud, all of its customer information and service level agreement data was based on what had recently been inputted by the service technicians, so when the office staff was accessing information, it was almost never in real-time. 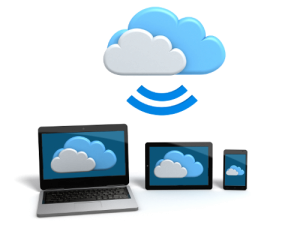 By shifting to the cloud, all information accessed is in real-time, and there is a high degree of data transparency within the organization. Better customer relationships: Ecolab exemplifies one way that a traditional manufacturer can embrace the value of the cloud. The company needed to work with over 36,000 water systems globally and get data to both (a) improve production processes and (b) show potential customers what was working, what was not, and what would constitute a sound business decision. Ecolab received benefits of the cloud by combining the Internet of Things suite, to control processes remotely and deliver actionable intelligence to those in the field. Millions of connected data points allowed for the establishment of operational benchmarks and increased customer relationships. Revenue insights: Rolls-Royce wanted to improve aircraft performance, safety, and maintenance for its jet engines. It used an intelligent cloud and machine learning for three key outcomes: more efficient flight and maintenance plans, targeted and actionable fuel efficiency insights, and quickly generated reports and dashboards that tell compelling stories and deliver high-quality insights. This allowed for the creation of new revenue streams. More effective data-driven decision-making: Sandvik Coromant, a manufacturer of cutting tools and services for the metal-cutting industry, sought to take its service-side business to the next level, so the company developed a solution that connects to the Azure IoT cloud to collect data in real-time. The data analyzed from the machining process, such as temperature, load, and vibration, influenced the senior decision-making of the organization and overall next strategic steps. This would not have been possible in a manual system.